Black women who are suffering need to seek counseling. This is the message psychologist La Keita Carter brought to a group of Black women who attended the Trilogy of Trauma seminar, organized by the Black Mental Health Alliance and held at Baltimore City Community College. “When trauma symptoms persist and you don’t get help, you are disabling yourself,” Carter told 130 participants, according to The Baltimore Sun. “The prefrontal cortex is the part of your brain responsible for adulting — for organizing, initiating and deciding how to manage your Saturday. Your children don’t have it because their brains keep growing until they’re 25. When you’re in distress mode, your prefrontal cortex shuts down because your brain is doing more important things. “You may say later, ‘What was I thinking?’ Technically you weren’t thinking because that part of your brain was disabled,” Carter added. The seminar is the first part of three planned workshops to teach Black people the proper approach to dealing with trauma and improve their mental health. Jan Desper Peters, executive director of the Black Mental Health Alliance, told The Baltimore Sun that the workshop was created after the 2015 death of Baltimore man Freddie Gray. The importance of therapy cannot be overstated because long term trauma can result in permanent brain structure changes, Carter said at the seminar, according to The Sun. She explained that normally the prefrontal cortex (“the CEO of your brain”) makes decisions but when a woman is under ongoing stress, the amygdala (the part that helps to process emotions) calls the shots. To deal with the stress, the amygdala sends a frantic signal to the hypothalamus, which in turn, triggers the emergency “fight or flight” response, which is good in cases of emergency but as a perpetual state of being, this creates long-term havoc in our bodies and brains. “We cannot sustain this hyper-vigilant state indefinitely,” Carter said. Another workshop speaker, Shelter Dziya, a psychology professor at the University of Maryland, Baltimore County, said the seminar was important because Black women, historically, have faced two types of discrimination – one for being Black and another for being female. On top of this, when Black women reach out for help, they often find therapists that they can’t relate to. 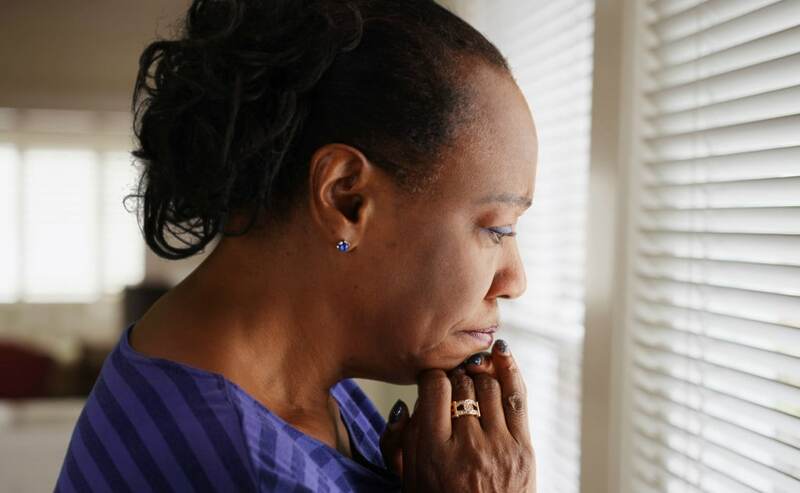 Less than 10 percent of mental health professionals in the U.S. are Black women, Dziya said. Next up will be an April 13 seminar for Black children, also held on the community college campus. On June 15, a workshop is planned for Black men.